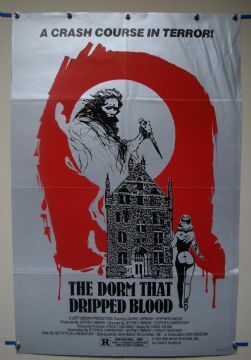 The Dorm that Dripped Blood (Amicus Productions,1971) US One Sheet Poster Size 27" x 41"
An anthology of four horror stories revolving around a mysterious rental house in the U.K. 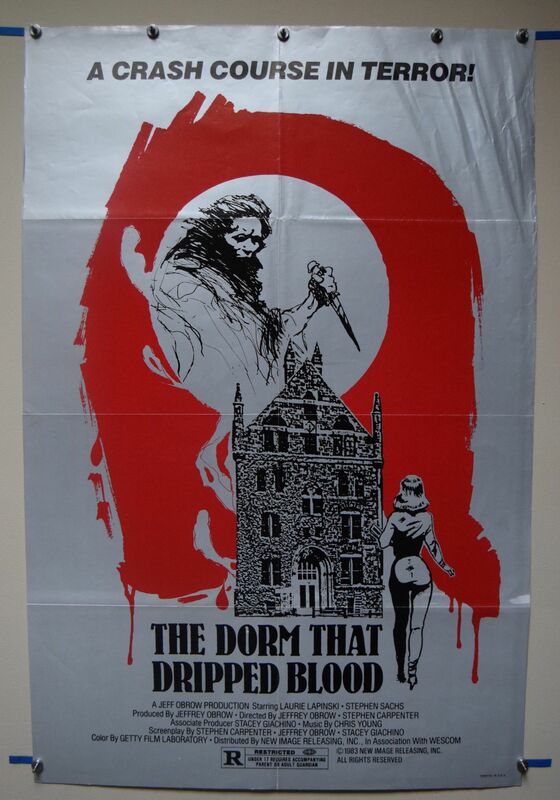 Starring Christopher Lee, Peter Cushing and Denholm Elliott. This is the re-titled 1983 version. The poster has light fold wear and creasing in the top right corner. Displays well.